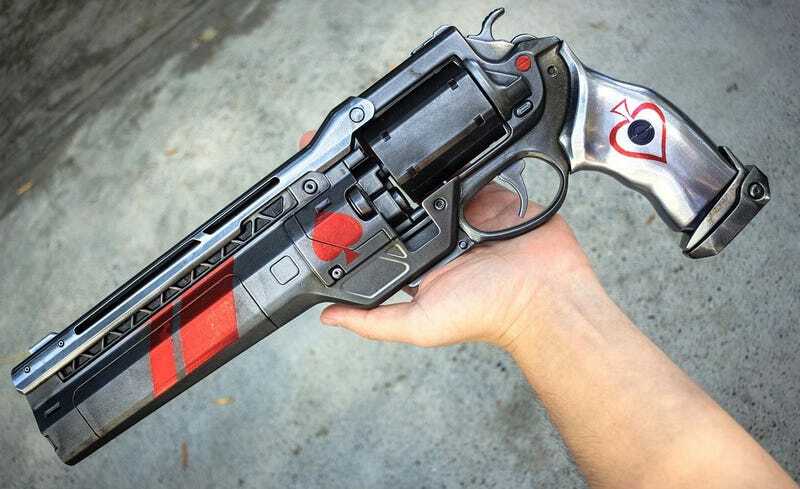 Impact Props, the same team responsible for Nathan Fillion’s personal sidearm, have since made a replica Ace of Spades that looks as realistic as a fake Destiny weapon could possibly look. It’s an ornamental thing, so it doesn’t do things like fire pellets, but the cylinder does spin if you like to play space cowboy in photo shoots. The rifling in the chamber is a very nice touch. You can see more of Impact’s replica work at their Instagram and company pages.